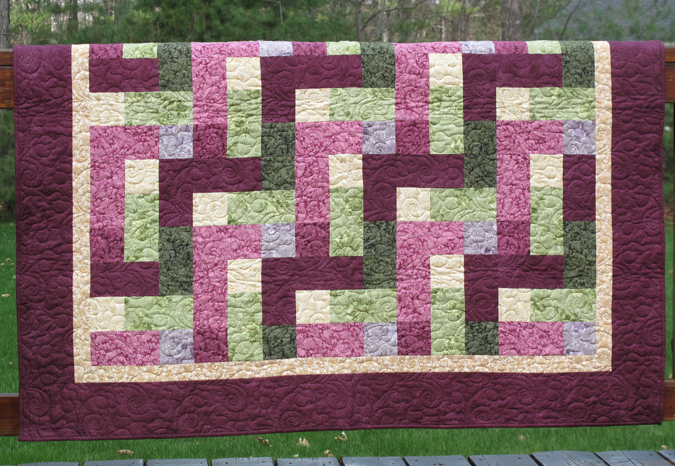 NEW: Want an easy, carefree quilt to while away the summer months?? Mystic Garden is your ticket!! This 57 1/2" x 57 1/2" quilt is fun AND easy, perfect for everyone, from Beginners to advanced quilters looking for a quick, fun project. Kit includes the pattern and fabrics for the top, BACK and binding.